In reasons released by the Supreme Court of BC on December 15, 2010 in De Leon v. Harold, 2010 BCSC 1802, a Plaintiff was awarded $13,200 in damages that resulted from a "low velocity impact". ICBC's submission that there was not enough damage to the Plaintiff's car for the Plaintiff to have been injured was rejected by Madam Justice Power of the BC Supreme Court. The Plaintiff, Ms. De Leon, was stopped at a red light when she was rear ended by the Defendant at a low speed. 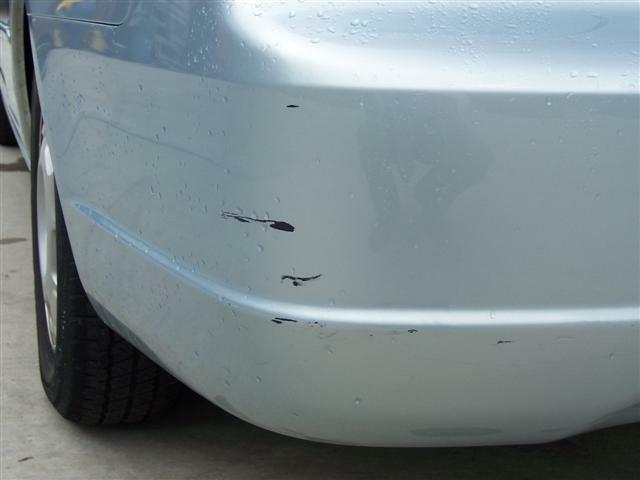 The damage to the Plaintiff's vehicle was an outline of the Defendant's license plate on her bumper, however, ICBC estimated the cost to repair the mark as zero and refused to repair the bumper ($0.00). The Plaintiff felt fine at the time of the accident and went to work that night. Later on that evening she started to experience pain in her lower back and mid back. At trial, the Plaintiff stated that she experienced pain for a couple of months and would have occasional back pain over the six months following the accident. ICBC argued at trial that the Plaintiff could not prove that her injuries were caused by the accident. ICBC pointed to the fact that there was no real damage to the vehicle, the lack of objective symptoms in the medical evidence and no mechanism of injury, the fact that there was some pre-existing back pain, and the fact that the Plaintiff got pregnant shortly after the accident and that the back pain could have been attributable to the pregnancy. Causation does not need to be established with scientific precision. While the plaintiff does not have to show that the motor vehicle accident was the only cause, she does bear the burden of establishing on the balance of probabilities that it was the cause of her loss. I am satisfied that the plaintiff has discharged this burden and that soft-tissue injuries to her neck and back were suffered as the result of the accident. I am satisfied that the injuries were substantially resolved within two months of the accident as the result of the plaintiff’s active efforts in the first two months to attend chiropractic and massage therapy and that the injury was almost completely resolved within six months.